Posted on February 27, 2017 at 2:28 am. Offshore gambling sites will be blacklisted and blocked in the Czech Republic after the government enforced new legislation last month. The country introduced new gambling legislation last year, which came into effect on January 1, requiring all gaming operators to hold a Czech license if they want to offer their services to Czech citizens. One very popular international gambling site secured a license, and as a result PokerStars.cz was launched as the first licensed poker and casino Internet site in the Czech Republic. But other offshore sites which haven’t left the market are continuing to offer their services to Czech residents. As a result, the government is honing in on these operators the same way Russia is – requiring Internet Service Providers (ISP) to block sites listed by the Ministry of Finance. The list hasn’t yet been completed, but there is currently three administrative proceedings underway to add websites to the list. If any ISPs refuse to block the blacklisted sites they will face administrative sanction. The ruling was handed down by the Constitutional Court of the Czech Republic last week. The Court revealed blocking domains was “likely the only effective (although not perfect) solution” to the problem foreign gambling sites presented. Critics of the ruling were concerned about whether this was an act of censorship, but the court rejected this angle suggesting it didn’t suppress freedom of speech, but prevented illegal online activity instead. 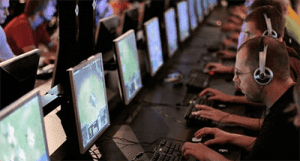 Some Senators even argued it was unfair on ISPs since they had to deal with the burden of online gambling operators which didn’t follow the right protocols. But this was dismissed since the risks are quite prominent and ISPs have the tools necessary to alleviate them. The ruling may force more and more operators to withdraw from the Czech market – its unlikely they will apply for a license since there’s a 35 per cent tax of gross gaming revenue on all computerised gambling games. PokerStars will face this tax, as well as the 19 per cent income tax rate. When the legislation was introduced last year, anonymous hackers attacked the Czech Republic’s government websites. A statement accompanying the attack said the government had been targeted since the law passed prevented “free access to the Internet.” The statement also warned it wouldn’t be the last time the government would deal with the hackers. There haven’t been any more attacks, perhaps since the ministry revealed steps were taken to ensure strong defences were in place to prevent future attacks.